Finding the Meaning of Grief Through the Five Stages of Loss. 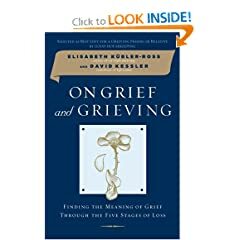 On Grief and Grieving looks at the way we experience the process of grief. 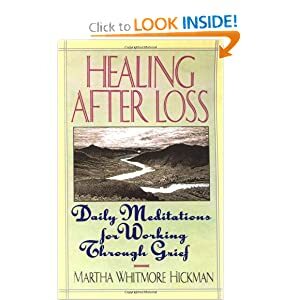 Practical Ways to Help the Bereaved. You really can make a difference: our guide is full of little ways - and big ways - to help someone you care about cope with grief. In this package, we offer you Marianne's spiritual support in facing death-- one's own or that of a loved one--with strength, dignity, and grace. This pre-sleep audio will comfort you in your loss, and get you in touch with the higher purpose for existence. Learning from the Extraordinary Encounters of the Bereaved. Millions of mourners report receiving a sign or message from a deceased loved one. 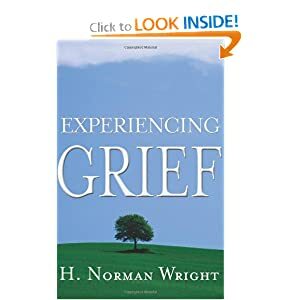 This book explains how to use seven lessons gleaned from these extraordinary encounters to cope with the death of a loved one. 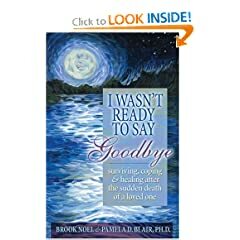 Surviving, Coping and Healing After the Sudden Death of a Loved One. Such incomprehensible loss must be dealt with daily-for those who face the challenges of a sudden death, I Wasn't Ready to Say Goodbye can be a comforting hand to hold.